#Microsoft365 – Office 365 refers to subscription plans that include access to Office applications plus other productivity services that are enabled over the Internet (cloud services). I’ve created a summary with resources to help you make sense of it all. As explained in my Introduction to Microsoft 365 post, this new model includes Office 365, Windows 10, and Enterprise Mobility + Security. I’ll be spending some time on Office 365, the different options as well as the applications and services they include. Each grouping has different options to allow for the individual or business to find a subscription that suits their needs & budget. Visio Online (view only) is available on most plans, but Projects / Visio can be purchased separately. See below for the different options. The links will navigate to the South African pricing pages (en-za), but the information is the same and will still help you to see the applications and services included in each plan. In most cases the en-za in the URL can be changed to en-us or en-gb to get the pricing in dollars/pounds. Home Office 365 Home Best for households. Includes Office applications for up to 5 users. Home Office 365 Personal Best for individuals. Includes Office applications for 1 user. Home Office Home & Business 2016 Get installed applications for 1 PC, for use in home businesses or other very small businesses. Students Office 365 for Education Built for teachers and students, full of powerful tools, and accessible from your favorite devices. Small Business Office 365 Business Best for businesses that need Office applications plus cloud file storage and sharing. Business-class email not included. Small Business Office 365 Business Premium Best for businesses that need business-class email, Office applications, and other business services. Small Business Office 365 Business Essentials Best for businesses that need business-class email and other business services. Office applications not included. Enterprise Office 365 ProPlus Office applications plus cloud file-storage and sharing. Business email not included. Enterprise Office 365 Enterprise E1 Business services—email, file storage and sharing, Office Online, meetings and IM, and more. Office applications not included. Enterprise Office 365 Enterprise E3 All the features of ProPlus and Enterprise E1 plus security and compliance tools, such as legal hold, data loss prevention, and more. Enterprise Office 365 Enterprise E5 All the features of Enterprise E3 plus advanced security, analytics, and voice capabilities. Education Office 365 Education Online versions of Office with email, video conferencing, SISS I S data sync, compliance tools, information protection, and voicemail integration. Education Office 365 Education E5 Includes all the features of Office 365 Education plus desktop versions of Office on PC/Mac with apps for tablets and phone, additional security features, and a new class of unified communications solutions with advanced Skype for Business meetings and voice capabilities. Government Exchange Online (Plan 1) The best choice for government organizations with advanced IT requirements that want the flexibility to move to the cloud at their own pace. Government Exchange Online (Plan 2) The best choice for government organizations with advanced IT requirements that want the flexibility to move to the cloud at their own pace. Government Office 365 Enterprise E1 The best choice for government organizations with advanced IT requirements that want the flexibility to move to the cloud at their own pace. Government Office 365 Enterprise E3 The best choice for government organizations with advanced IT requirements that want the flexibility to move to the cloud at their own pace. Government Office 365 Enterprise E5 The best choice for government organizations with advanced IT requirements that want the flexibility to move to the cloud at their own pace. Nonprofit Office 365 Nonprofit Business Essentials Qualified nonprofits can receive Office 365 Nonprofit as a donation or upgrade to advanced features at a significant discount. Nonprofit Office 365 Nonprofit Business Premium Qualified nonprofits can receive Office 365 Nonprofit as a donation or upgrade to advanced features at a significant discount. Nonprofit Office 365 Nonprofit E1 Qualified nonprofits can receive Office 365 Nonprofit as a donation or upgrade to advanced features at a significant discount. Nonprofit Office 365 Nonprofit E3 Qualified nonprofits can receive Office 365 Nonprofit as a donation or upgrade to advanced features at a significant discount. Nonprofit Office 365 Nonprofit E5 Qualified nonprofits can receive Office 365 Nonprofit as a donation or upgrade to advanced features at a significant discount. Frontline Workers Office 365 Enterprise K1 Enable your frontline workers to do their best work. Individual Services Exchange Online Work smarter, anywhere, with hosted email for business. Great blog by Matt Wade (icansharepoint) An everyday intro to Office 365 where he uses a Periodic table to visually portray the various Apps, he also covers Office 365 Groups in a separate post. Kirsty McGrath’s post Office 365 – Isn’t it just Office in the Cloud? is a winner as well! AND it was her first ever post – well done Kirsty!! 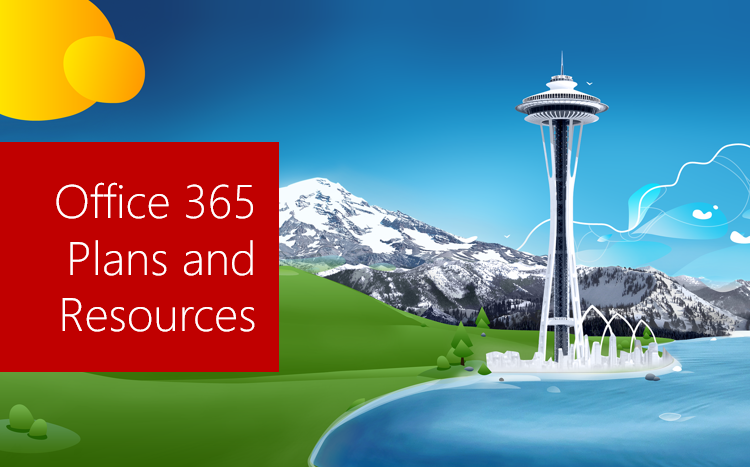 I will write 365 blogs over the next 365 days around Microsoft 365. I did a similar challenge with Office 365, blogs can be found here. I won’t just be talking about the new Microsoft 365 subscription model. I will be sharing any news, tips and tricks around Office / Office 365 / Windows / Mobility and Security. And let’s not forget all the great new Apps & services available. A lot of what I’ll share on Office and SharePoint will also be applicable to none “Office 365” versions.